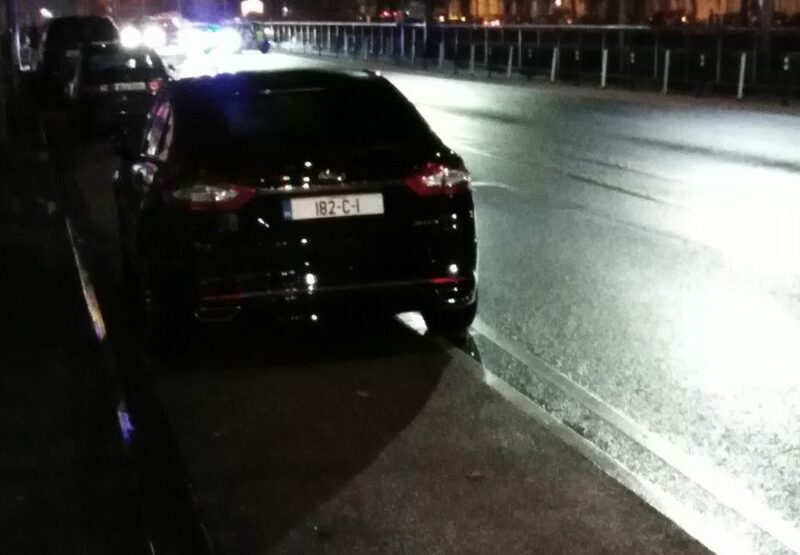 Cork Lord Mayor Cllr Mick Finn has launched a stout defence after photos emerged of his official car parked in a cycle lane in the city. The car was pictured parked on North Gate on Halloween night. Some Twitter users have been critical of him. However, Cllr Finn has insisted neither he nor his driver did anything wrong. He accepts the car was parked there, but for unique reasons. Finn has insisted the road was closed at the time. And he said his party asked the gardai if they could park there before they did. “Road and cycle lane closed for Dragon of Shandon event; we checked with Gardai for the short time we were there,” he said. Cllr Finn added he was going to another event after attending the parade and so ensured before the car was parked that it was permitted. The Cork Cycling Campaign group accepted his statement. But it suggested the optics of the parking mattered even if permission had been granted. “Fully understand that it was due to close for the parade. And you have a parking exemption as you are on official business (and) representing the city,” it said. Parking in cycle lanes, which has long been a serious issue, has become more high profile of late. Minister for Justice Charlie Flanagan said he wanted to see more enforcement of the laws around parking in cycle lanes. If you’re following the replies, you’ll know the road was closed – inc bike lane – for an event and we asked the Gardai. Thanks for your reply and for clearing that up.